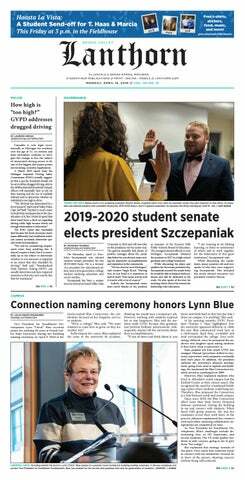 The resolution to recognize Indigenous Peoples Day was passed at the Thursday, Sept. 21, general assembly of the Grand Valley State University student senate. The vote took place after several community members stood to speak during the public comment period, as well as several minutes of statements of support from senate members. On Monday, Sept. 11, Grand Valley State University students were sent a timely warning email alerting them of a sexual assault that had taken place on campus between 11:30 p.m. Saturday, Sept. 9, and 12:30 a.m. Sunday, Sept. 10. This semester, the Grand Valley State University Police Department is collaborating with Information Technology at GVSU to add a desktop notification feature to the GVSUAlert! emergency notification system. Freshman year of college can induce a range of emotions in students. It’s possible to feel excitement, sadness and nervousness all at the same time, as there are a lot of activities to do and people to meet. Here are some suggestions that might make it a little easier. The use of opioid drugs is rising nationally, and the state of Michigan is reserving money specifically to combat the addiction. The state received a $16.37 million grant that was awarded to the Michigan Department of Health and Human Services and will finance prevention and treatment initiatives across the state. This includes the development of a statewide awareness campaign, research, prevention services and more. The Alcohol & Other Drugs Campus Education Services (ACES) organization and the Grand Valley State University Police Department teamed up to present the program “Marijuana: Truth, Lies and Consequences” Tuesday, April 11, in the Kirkhof Center.